Songs My Mother Never Sung Me is an opera for families about a Deaf mom and her hearing son. The piece is bilingual and is performed and sung in English and ASL. The heart of this touching and funny work is its intimate connection to playwright Dave Clarke’s experience growing up as a CODA (Child of Deaf Adult). Recommended for ages 6 and up. Kelsie is a neurodivergent choreographer, dancer and Co-Artistic Director of CRIPSiE, Edmonton's integrated dance company. She is also a PhD Candidate at the University of Alberta researching timing, access and integrated dance. Dave is an Edmonton musician, writer, actor and sound designer. He has composed music for theatre, film, dance and multi-media for three decades. He worked for seven years on CBC Radio’s The Irrelevant Show. His play for young audiences That’s Danger! (Alberta Workers’ Health Centre) continues to tour junior high schools. Dave looks forward to composing music for The Tempest (Citadel Theatre) featuring hearing and Deaf actors, in April 2019. Previous composition for Concrete Theatre include Consent, Paper Song, Jeremy Fisher, Smokescreen, Offensive Fouls, Under Cover, Routes, The Shape of a Girl, I Am For You, and the Sprouts New Play Festival For Kids. Recent designs include The Cardiac Shadow (Northern Light Theatre), The Comedy Company (Shadow Theatre), Constellations (Alberta Theatre Projects) and The Comedy of Errors (Freewill). Kim is “Head Rat” at Rat Creek Design, an Edmonton based company specializing in Motion Graphics and Animation. He started Rat Creek in 1996 and over the last 2 decades has worked as a hands-on motion designer/compositor and as Art Director and Media Consultant on team-based cross platform projects. Highlights include Director of Animation on Anash and the Legacy of the Sun-Rock, a combination animation and live action FX based half-hour series for APTN; Lead Animator on Home Fire, an AMPIA award nominated series of animations for Native Counselling Services of Alberta and recent works for Full House Lottery, Calder Bateman, BBC GEL, ATB and Alberta Health Services. Rat Creek also collaborates with local artists and filmmakers on animation & MGFX for short films or in performance based productions, such as Concrete theatre's Routes and Laura Krewski’s The Yellow Wallpaper. Kim won the Innovation in the Arts Award at the 2005 Mayor's Evening for the Arts, was the recipient of a 2006 Distinguished Alumni Award from MacEwan for his work in the Edmonton Production community, and won an AMPIA award for Best Animation for AADAC’s Firepit. Susan has performed in theatres in Edmonton, Toronto, Stratford, throughout Canada, and Internationally on Broadway, in Los Angeles, throughout the US, in Asia and South Africa. Selected credits: Fantine in Les Miserables, Eva Peron in Evita, Margaret Johnson in Light in The Piazza, Delores in The Wild Party, Witch in Into the Woods, Lady of the Lake in Spamalot, Lottie Child in Crazy for You, Miss Andrew and Bird Woman in Mary Poppins, Bernice Trimble in Gravitational Pull of Bernice Trimble, Mother Superior in Sister Act, Vi Moore in Footloose, Muzzy in Thoroughly Modern Millie, Marilla in Anne of Green Gables, Drowsy in Drowsy Chaperone, Marmee in Little Women, Baroness in The Sound of Music, Grizabella in CATS, Narrator in Joseph and the Amazing.., Pirate Jenny in Three Penny Opera, Reno Sweeny in Anything Goes, Aldonza in Man of La Mancha, and Nancy in Oliver! Susan is delighted to be here with this wonderful company! Caroline is a founder of Concrete Theatre directing numerous projects including The Early Bloomer, The Shape Of A Girl, Are We There Yet?, Sprouts and the original production of Paper Song. She is Chair of Fine Arts at Concordia University of Edmonton where she teaches acting, directing and Theatre for Young Audiences. She has directed many productions for Concordia including The Glorious 12th, The Resistible Rise of Arturo Ui, Unity (1918), the musical Seussical and the opera Dido and Aeneas. Last season she directed the Edmonton premiere of Mieko Ouchi’s The Dada Play at Concordia. Caroline is thrilled to be working with Mieko, Dave and the team on this great story. Thank you to all the folks who have contributed to the development of Songs and lots of love to my family. 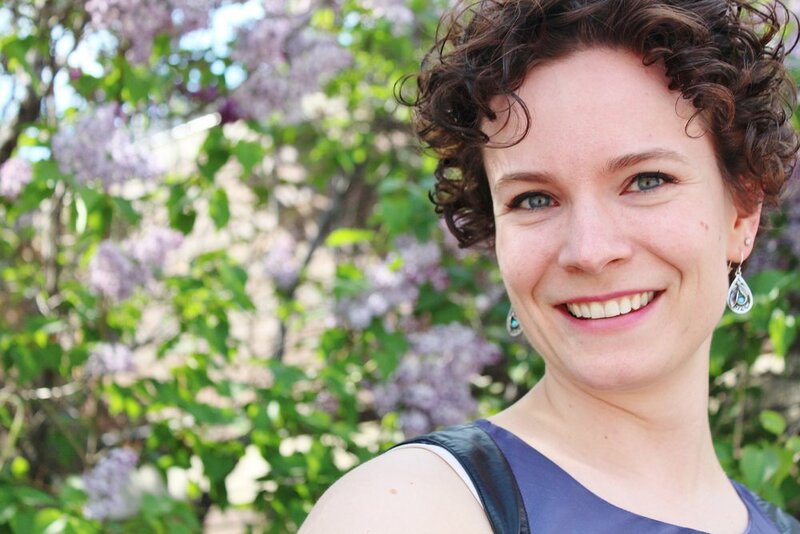 With 15 years of signed language interpreting experience, Andrea has developed strong roots in the Edmonton-based communities. Working closely with several inclusion providers and artists, Andrea has been an integral partner in making strides to opening many doors to theatrical performances. Andrea continues as an ally to ensure full inclusion in the Edmonton and Alberta arts and cultural sectors. Previously, Sang Sang has worked on The Antyssey and Sprouts for Concrete Theatre. Elsewhere, she has worked on Redpatch, Hadestown, Mamma Mia!, Sense and Sensibility, Million Dollar Quartet, West Side Story, Who's Afraid of Virginia Woolf?, Avenue Q, One Man Two Guvnors, Make Mine Love, Clybourne Park, Monty Python's Spamalot, Private Lives, The Sound of Music, The Rocky Horror Show, A Christmas Carol, Billy Bishop Goes to War, As You Like It (Citadel Theatre); Honour Beat (Theatre Calgary); Salt Baby (Globe Theatre); Hamlet, Comedy of Errors, Merchant of Venice, Merry Wives of Windsor, A Midsummer Night's Dream, King Lear (Freewill Shakespeare Festival), Don Giovanni (COSI), Hunchback (Catalyst Theatre), The Super Groovy 70s and Dirty Rotten Scoundrels (Mayfield Theatre). She is a graduate of Grant MacEwan's Theatre Production program. C. M. & Lynette are artists, mask makers and puppeteers who have developed, designed, produced and created for theatres, parades, festivals and events, specializing in creative play areas for children. Their work has included developing and presenting entertaining and educational programs through puppetry and art. Their company, Zū-Ma: Talent to Amūz, finds the two of them working on many interesting and fun projects – painting at U of A, lanterns at Flying Canoe Volant, set design for Shadow Theatre, New Years Eve for the City of Edmonton - to name a few. Elizabeth is a graduate of OCAD University, with MDes in Inclusive Design. Her award-winning research was based on creating live theatre more accessible and inclusive for the Deaf and Hard of Hearing, including their families and friends. As a professional actor, she became Stratford Festival’s first Deaf signing actor in The Madwoman of Chaillot in 2017. She has toured with National Theatre of the Deaf (Hartford, CT) and Quest for Arts (Washington, D.C.), and is co-founder of Deaf Spirit Theatre in Kingston, Ontario (Three Dynamic Deaf Women Show). She performed in Ultrasound (Cahoots Theatre), and Bird Brain (Young People's Theatre) which was nominated for a Dora Award for Outstanding Production. Credits as an American Sign Language (ASL) coach: Love You Forever and More... and Bird Brain (Young People's Theatre), Tribes (Canadian Stage), A Midsummer Night's Dream (Stratford Festival), The Spirit (Native Earth Performing Arts), and an episode of Flashpoint (Avamar Entertainment). As a Deaf Interpreter: Up to Low and Alice Through the Looking Glass (National Arts Centre), Selfies, The Secret Garden and Munch’s Time (Young People’s Theatre). Her goal is to set up a business exploring, consulting, and educating; developing creative ways of making live theatre more accessible and inclusive. Kieran has had the pleasure of working in Canadian Musical Theatre for 2 decades some of the stand out roles have been Jean Valjean in Les Miserables, King Arthur in SPAMALOT and Gus the Theatre Cat in CATS. He appeared on CBC’s Irrelevant Show for 4 seasons and spent a little time doing a little Television; most notably Damnation for AMC on Netflix. Having been part of the workshop for Songs My Mother Never Sung Me he is especially excited to be a part of this full professional run and to reprise the Narrator role. It’s a show that requires a lot of concentration, but there is so much heart in it that it is the kind of work that just fills you up. Selected Credits: Les Miserables, Buddy Holly, Rock of Ages (Arts Club), SPAMALOT, All Shook Up, J.C. Superstar (Stage West), Hamlet (U of A), CATS (Theatre Calgary), Oliver (Citadel), The Pavilion (Shadow Theatre), Songs My Mother Never Sung Me (Concrete Theatre), Two Good Knights, J.C. Superstar, The Wizard of Oz, Gypsy (Mayfield), Crescendo (John Cameron Productions). Actor, writer, director and filmmaker, Mieko Ouchi received her professional training through the U of A BFA Acting Program. Mieko’s award winning plays include The Red Priest (Eight Ways to Say Goodbye), The Blue Light, Nisei Blue, I Am For You, The Dada Play, Consent and The Silver Arrow. As a co-founder and the current Artistic Director of Concrete, Mieko has directed productions of Consent, Bello, Paper Song, The Antyssey, The Early Bloomer, I Am For You, Smokescreen, Under Cover, Routes, Apples and Oranges, Nami Namersson, The Incredible Adventures of Mary Jane Mosquito, Are We There Yet?, The Plum Tree and Naomi’s Road for the company. Last season, Mieko was recognized with a Sterling Award (Artistic Achievement TYA) for her work as playwright and director of Consent. Mieko had a wonderful time beginning her ASL studies this year through NICA. She is thrilled to be working with this talented team on this amazing new inclusive opera. Nicole has been a performing artist since childhood and deeply active in creating ASL Accessible Performances since 2010 with musicians, dancers and multiple theatres. Recent works of immense pride are Jezebel at the Still Point, Evacuated, Pretty Goblins (6 Sterling Nominations, 1 Award), Black Girl Magic, Selassie Drah & the PEI, and Unwoven. Consultation, editing perspective and ASL services to TV productions include THE A.G. BELL STORY, STREET LEGAL & THE CLASS OF ’96, along with multiple TV Interviews and News segments. She has been a professional Interpreter since 1990 and partnered as CEO to established NICA Consolidated in 2009 to better serve the Deaf, Deafblind, Deaf-Plus and hard-of-hearing communities throughout Canada. 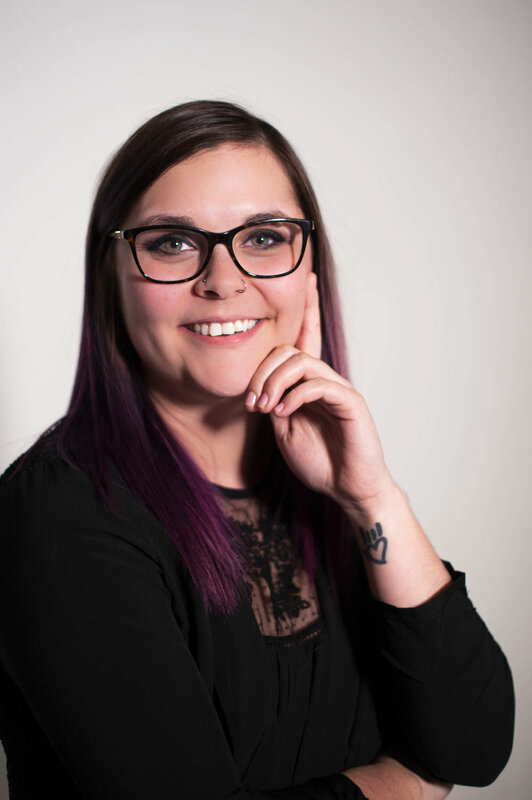 Having extensive skills in project management and international networking, Nicole’s team at NICA provided in-depth services and supports for SOUND OFF: A Deaf Theatre Festival, along with the expert curation of fully inclusive services for the entire Chinook Series 2018, making it THE most inclusive and accessible festival series ever in Canada. Nicole is a staunch advocate for equity, diversity and inclusion for all people, and embraces the building of ally-ships to further create welcome spaces in our world. Luc played the Boy in the 2017 workshop of Songs My Mother Never Sung Me, and he's beyond delighted to be back for more. His work as an actor and director has been seen across Edmonton, and his favourite credits include Mark in Cleave (Tiny Bear Jaws), Robin/Lady Capulet in Shakespeare In Love (Royal Manitoba Theatre Centre/Citadel), Gus in Arcadia (Citadel), Juliet in Shakespeare's R+J (Kill Your Television), Flute in A Midsummer Night's Dream, (Freewill Shakespeare), Norman Bates in mote, and directing Legoland and Never Swim Alone (Blarney Productions). He is a three-time Sterling Award nominee. Up next, Luc returns to the Citadel for the world premieres of The Party and The Candidate by Kat Sandler. He extends big love to Mieko and Dave for this opportunity, to his ASL instructor Christian Fontaine, and to Mama Liz!